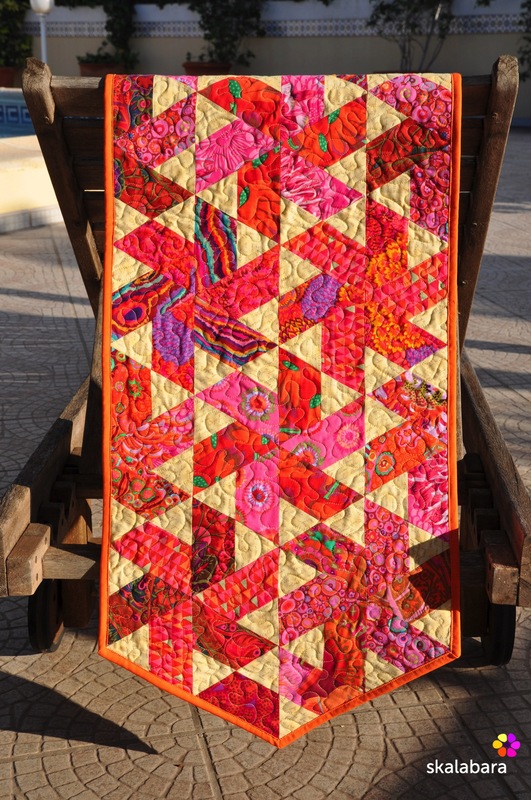 This entry was posted in free-motion quilting, patchwork, quilts, small projects, table runner and tagged Kaffe Fassett, machine quilting, table runner. Nice to hear something from you Barbora! 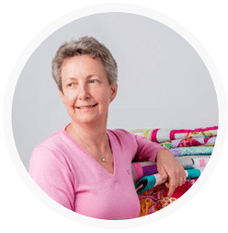 I love your “Tablerunner for Doris”… it looks so fresh and friendly with its Kaffee Fasset fabrics. 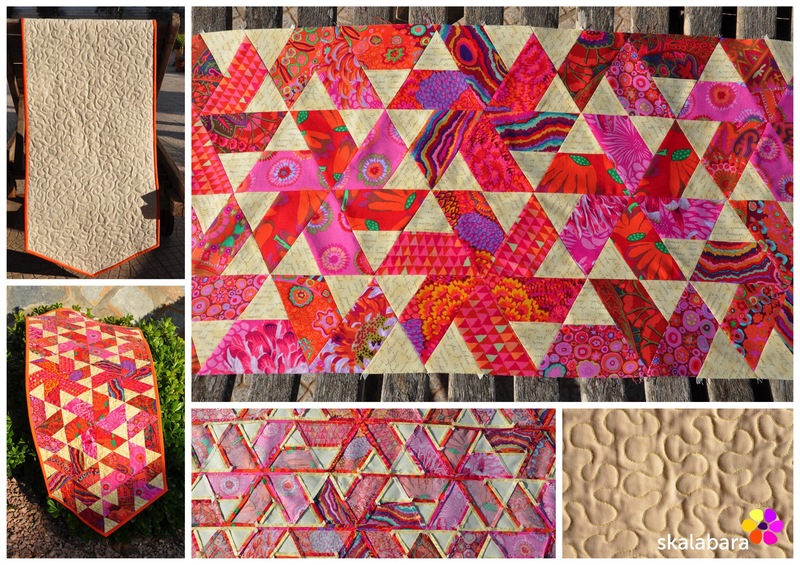 The quilting is great! Thanks for stopping Annett, I was on “quilting holidays” for some time! 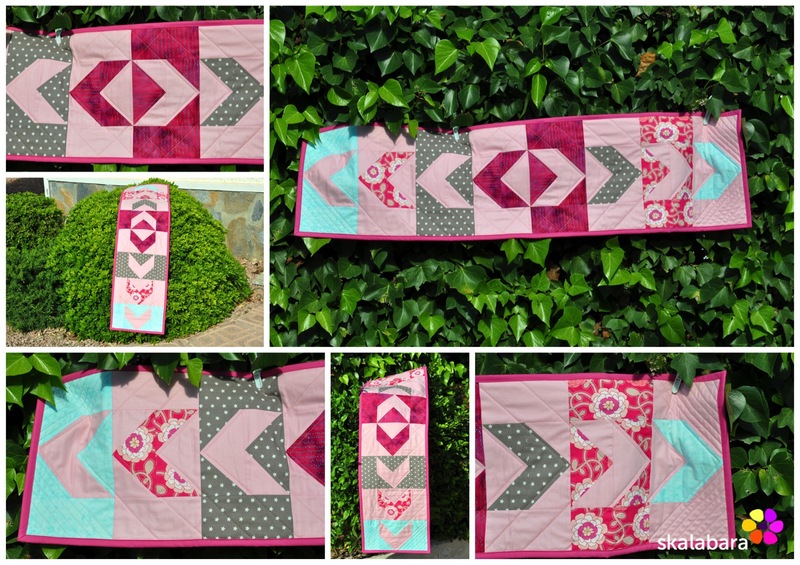 I do like the KF fabrics – love the colors and design. Very effective variety in backgrounds to the flying geese–varying backgrounds is something I have trouble doing well. Nice to see it when it works. Thank you! Even though I used only 4 different fabrics and the pink background for the table runner, it took me some time to decide on the fabric combinations and block distribution. I am happy you like it!